Around eight in 10 mayors in South Australia are in support of voluntary amalgamations, a new survey has found. Unveiling the results of an online survey of 34 mayors from around the state, the South Australian division of the Property Council of Australia says that whereas only 18 per cent support forced amalgamations, 80 per cent in fact support voluntary mergers. The results also show that 89 per cent of mayors believe local councils should play a greater role in economic development. Substantial portions support the notion of local councils exploring new business models to reduce reliance upon rates (60 per cent). May feel it should be mandatory for local governments to publish performance data (59 per cent), that councils should pursue greater efficiency and reduced cost, and that municipal boundaries should be recast (50 per cent). Across many parts of Australia, local council amalgamations have been a topic of hot debate over recent years. New South Wales, for example, is undergoing an extensive program of council amalgamations. 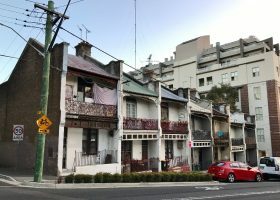 From the property sector’s point of view, benefits of larger local councils include greater efficiency through having to deal with fewer jurisdictions, greater strategic focus in local council decision making, better funding for local infrastructure through stronger and broader municipal balance sheets and the attraction of a more professional types of councilors as opposed to those who were elected on the basis of opposing development. Speaking earlier this year, for instance, University of England professor Brian Dollery, a consultant on structural reform and amalgamation within Australian governments, raised concerns that community voice can be diminished by council amalgamations as larger councils tend to attract a more ambitious type of councilor who may harbour ambitions to move on to state or federal politics. Such councilors, Dollery argued, may be more inclined to wish to curry favour with the powerful property sector lobby in order to further their political ambitions, and may thus be more inclined to make decision which are popular with the sector potentially at the expense of decisions which best serve local community interest. SA Property Council chief executive officer Daniel Gannon said the survey results debunk negative perceptions about local government reform. “What is now clear is that the benefits of recasting council boundaries substantially outweigh the costs, and there is significant support from mayors to make this happen on a voluntary basis,” he said.